Lisniak Yevgen is a contemporary ukrainian artist. He was born in Krivoy Rog in central Ukraine in 1994. Since childhood he has been engaged in drawing and painting. Having grown up in the industrial city, there was a desire move to the more romantic city. So he went to study monumental painting to the Lviv National Academy of Arts in 2012, but while attending courses, master classes and residences in other cities and countries, views on the contemporary art with the Lviv Academy began to diverge and he dropped this academy in 2017. 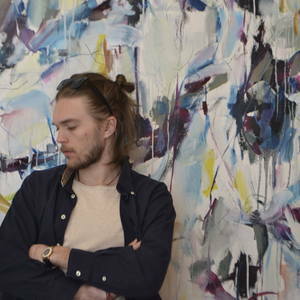 Now he has a studio in Lviv and works with painting, installations and new media art.